Critically ill human rights defender Arash Sadeghi held at Raja’i Shahr prison, is under increasing pressure by Iranian regime officials. Despite suffering from cancer and deteriorating health conditions, Sadeghi has been deprived of access to the minimum needed medical facilities. His health condition has extremely deteriorated over the past weeks as he has been suffering from a serious infection in his surgical wound due to unsanitary conditions and medical malpractice. Arash Sadeghi was re-imprisoned only two days after a major surgery, despite advice from its own doctors to extend his temporary leave because of potentially life-threatening cancer. This was against strict explicit medical advice that required him to spend at least 25 days hospitalized following the operation so that he could be monitored by specialist doctors. Doctors said that they needed this post-operative recovery period to assess whether Arash Sadeghi required chemotherapy, radiation therapy or additional surgery. After the surgery, Sadeghi has been taking antibiotics, and without proper food, his body is weakening every day. Sadeghi is being kept in a ward that lacks warm water and heating appliances, and because the windows have been sealed, there’s no proper air circulation in the ward. In additions to bone marrow cancer, Arash Sadeghi suffers from severe digestive problems. But due to the conditions imposed by prison officials, he is not able to carry out regular treatment and he can’t eat the prison food. The increasing pressure has caused his body to become weak and frail. Arash Sadeghi, was diagnosed with a cancerous bone tumour in August. However, authorities at Raja’i Shahr prison, in Karaj, a city north-west of Tehran, have since repeatedly impeded his access to potentially life-saving medical care. After months of untreated pain a doctor in a hospital outside the prison discovered the tumor in June 2018 but prison authorities have consistently prevented him from receiving specialized medical treatment. After Sadeghi underwent a surgery and was returned to Raja’i Shahr Prison, he developed a serious infection. “The Iranian authorities’ treatment of Arash Sadeghi’s is not only unspeakably cruel; in legal terms it is an act of torture. Every step of the way, the prison authorities, the prosecutor’s office and the Revolutionary Guards have done everything they can to hinder and limit access to the essential treatment that Arash requires in order to address his life-threatening cancer,” said Philip Luther, Research and Advocacy Director for the Middle East and North Africa at Amnesty International. Political prisoner Golrokh Iraee reached out in an open letter to protest continued denial of medical treatment to her husband Arash Sadeghi, a political prisoner detained in Gohardasht Prison who suffers from cancer, and called for help to save his life. Referring to her husband’s deteriorating condition, she added, “In recent months, I have been hearing a lot of news of Arash’s deteriorating situation due to cancer. Ultimately, all that was done was him being dispatched to the hospital for surgery. But he was quickly returned to prison only a couple of days after the surgery upon insistence of the (IRGC) Sarallah Corps and despite the medical staffs’ opposition. 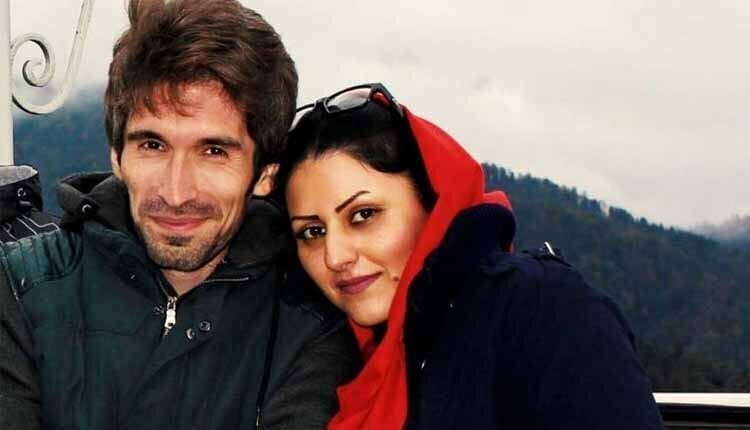 Golrokh Iraee expressed concern over the failure to start post-surgical chemotherapy for her husband, Arash Sadeghi and the inability of the medical staff at Raja’i Shahr Prison to provide him the necessary treatment.